After a week of rain and clouds, it was a cheerful surprise to see these blooms. 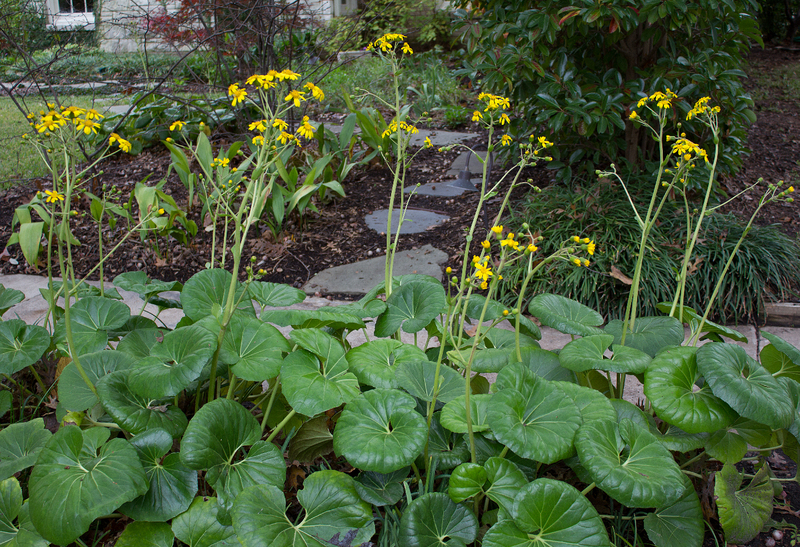 Giant Leopard Plant (Farfugium japonicum ‘Giganteum’) started sending up its bloom stalks in November, but the flowers didn’t start to unfurl until the very end of November. These Giant Leopard clumps have doubled in size since they were planted in the spring of 2014, so I’m kind of worried at just how big of a mass they will be next year. The University Park code enforcement lady loves to torment those who dare to plant something other than grass.